Currently there are 773 Custom Themes in the repository and they have been downloaded 1124970 times in total! 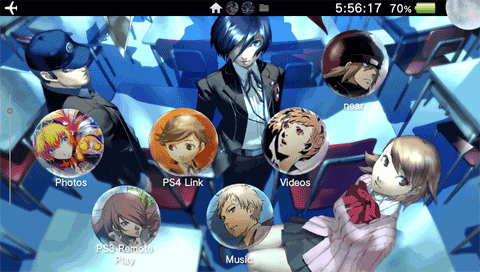 "Where can I download custom themes for my PSVita?" Of course there were already threads or posts collecting custom themes in various sites, but often they were messed up because of people comments, many preview images of different size and type, download links from many different file hosting services, etc... Hence the idea of ​​creating a repository that was simple, fast, mobile friendly, but still complete and free, where all users could find and download custom themes for their console in few seconds. 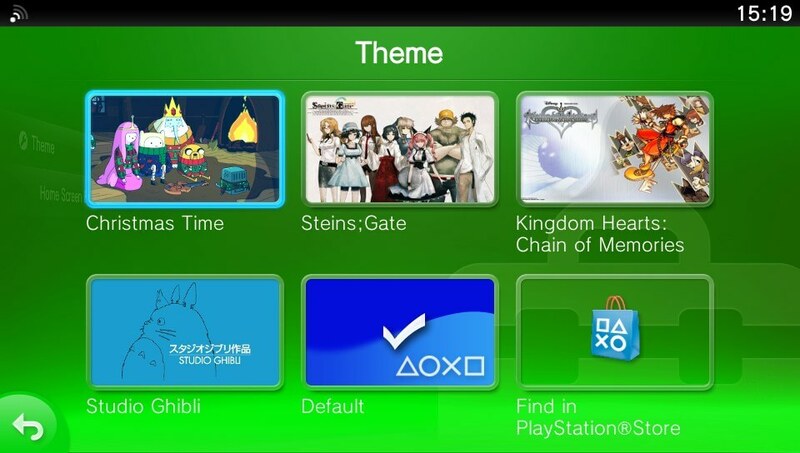 And so here is the PSVita Custom Themes - Free Repository! In this repository you will find custom themes created by amateur users, collected from around the web and then tested, arranged and reuploaded on Google Drive so that they can be ready to download and use. Obviously it was impossible to retrieve any existing custom theme on the web and many of those found had no more valid download link. However this repository includes a public feature to submit a custom theme to be added, so whether you are the creator of a new custom theme or you have just found one around the web that is not currently included in the repository, you can easily submit it so that it could be added soon. 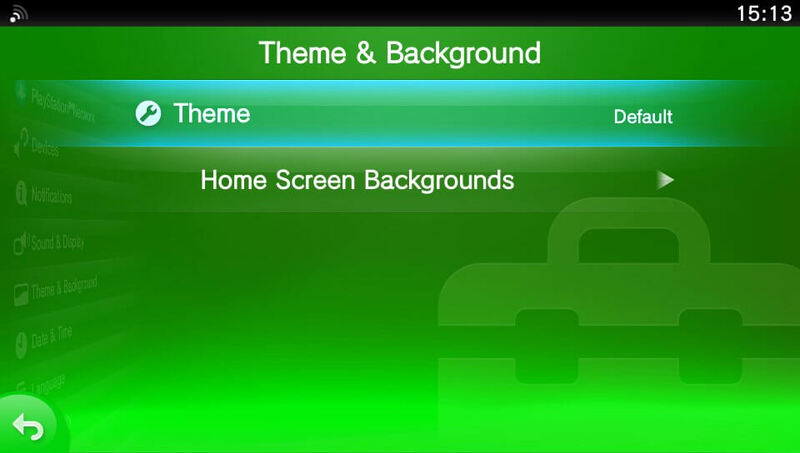 The custom themes in this repository have been collected from around the web. All rights on them therefore belong to the rightful owners. This repository is completely free. Its author (@redsquirrel87) is in no way related to the creators of these custom themes and therefore he does NOT take any responsibility for their contents. For any dispute about a custom theme in this repository you can use the Contact Us form to ask for details or the removal of content that, always unintentionally, may have caused you a damage in any way. The custom themes in this repository have all been tested before being posted, despite this it is still possible that you may experience some unknown problems that did not occur to us during testing. For this reason please remember that you are using the custom themes in this repository always at your own risk. The custom themes in this repository have been reuploaded into a Google Drive account. This brings the advantage of a direct download without speed limits but this also means that in case of downloading abuses the files may suffer the classic 24-hour suspension by Google. I therefore appeal to your common sense to avoid this from happening, so that all users could continue to use this service. 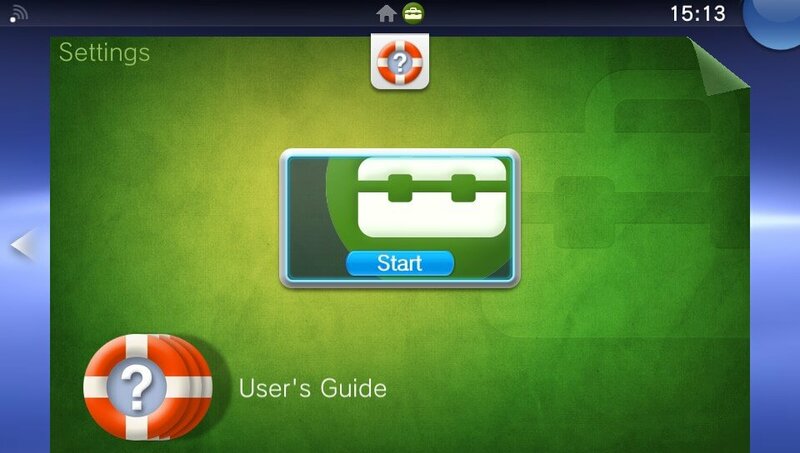 Since there will be a function in PSVita DB Theme Installer 360 that will let users to download custom themes from this repository and to install them directly on their PSVita memory card, all extra files and subfolders have been deleted from the ZIP packages of the custom themes to save space. They will be still available as separate download (but they will be uploaded on Mediafire to save space on the main Google Drive account). The first special thanks goes definitely to the staff and the community of Hackinformer.com, since that most of the custom themes in this repository at the time of its creation was taken from their database you can find here. Also I would highly recommend you to subscribe to their awesome community to stay informed about the latest news on the PSVita hacking scene. Another special thanks goes to the reddit community too, where some of the custom themes were taken. Finally of course a special thanks to all the creators of these fantastic custom themes and to those who in the future will help to keep updated the repository by reporting and by submitting more new custom themes! Reason: changing only the color of the background waves cannot be accepted as an update of another user's theme because colors or images chosen are the "taste" of an author. Updates to other users' themes will be accepted only if they fix any bugs in the XML config or for example with images size. If you still want to share your variation of the theme, please submit it not as an update but as a totally different new theme (changing the title and what you wish, such as the colors, BGM or images, etc...) and writing in the description that it is indeed just a variant of an already existing theme (so as to give credits to the original author). Reason: wrong download link attached (it was the same download link of the theme Zen Garden). Reason: wrong download link attached (it was the same download link of the theme Greninja Pokemon XyZ). Reason: the same version already exists in the repository. Reason: it contained explicit sexual content (please do not attach uncensored images on this repository and remember to censor also thumbnails/previews images). Reason: unable to download the file. The attached download link did not work. Reason: unable to download the file. The attached download link did not work (MEGA asked for a decryption key to download the file). Reason: the original author did not authorize the update. Reason: unable to download the files (the file has been removed by Mega). Reason: it included text not in English that we could not understand and moderate. Reason: it gives error C2-17052-5 when you try to apply the theme from Settings. Reason: it was an Official theme. Reason: it contained explicit sexual content. Reason: it included text not in English and faces pictures of private people. The submitted custom theme will go through a moderation process and some tests before being included in the main list of the repository, to check if everything works well and clean the package from extra files. This procedure usually requires up to 24 hours, but may also request 48 hours or more during holidays and weekends. 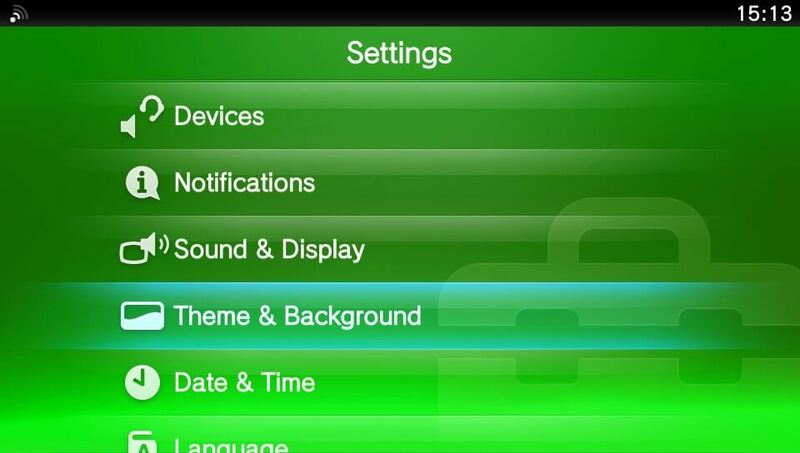 However until then the custom theme will still publicly downloadable from the separate list of submitted custom themes. In case of rejection you'll can view the reason in the list you can find in the submitted custom themes page. To speed up the moderation process please be sure to fill all the fields below and to attach ACTUAL preview images of homescreen and lockscreen (to take a screenshot in the PSVita just press the PS+START buttons at the same time!). You have to submit an url where download the custom theme. You can use free file hosting services like Mediafire to upload your custom theme and get a download link to use here. The only mandatory fields below are the preview images and the download link of the custom theme. However if you fill all the other fields below the custom theme will have more info for the users who want to try it before the moderation. In any case during the moderation process all the details about the theme will be acquired from its theme.xml file (for this reason please be sure it's correctly updated if you took it from another existing theme!). The name of the submitter will appear in the submitted custom themes list to thank you, leave it blank for anonymous submissions. include in its images the faces or any other recognizable signs of private people, because we can not know whether those people agree to share their image. Custom themes which will not respect these few rules will be rejected. Before to submit your Custom Theme please validate it! The validation will give you a preliminary analysis about your Custom Theme, telling you if there are any problems and tips on how to solve them. Because of the increase of SPAM bots that have bypassed any type of protection, the public form to contact us has been disabled for now. How to install, uninstall and use custom themes? Although full of features, the app is very easy to use, just follow the many instructions at screen (sometimes you need to press SQUARE to show/hide commands list and explanations) and you will learn how to use it in no time. PSVita DB Theme Installer: it's a PC software written in JAVA (so compatible with any OS such as Windows, Linux, Mac OSX, etc...) that allows you to fully manage your custom themes via FTP. 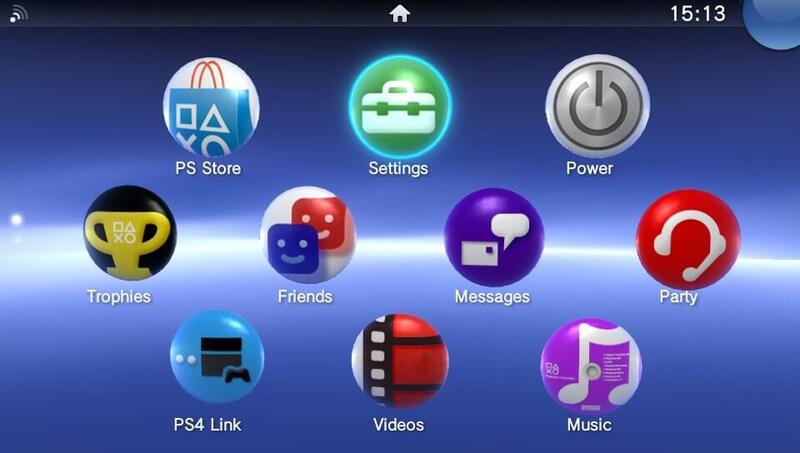 It has functions to install custom themes folders, to download and install any custom theme from the online repository, to uninstall any custom theme previously installed, to dump official themes or to backup/restore your PSVita database. The program has a very simple GUI with explanations and just one button dedicated for every function, so it's very easy to use! Please remember that to connect the program to your PSVita you need to use a FTP server on the console (you can use homebrews such as MolecularShell or VitaShell that implement such a function or just any FTP server homebrew for PSVita). Otherwise if your PSVita has a firmware that is not hackable or any official firmware, to install any custom theme you can only use the "injection" in system backups procedure. Unfortunately it's a much longer and more complex procedure, but it's the only possibility that exists for now. You can find a detailed tutorial for this procedure on HackInformer.com. About the uninstallation in this case, you can use the same procedure (deleting them manually from the system backup folders and the PSVita database file) or just a more drastic (but faster) procedure such as restoring the PSVita database from the recovery mode and formatting the Memory Card. Changed the pages buttons bar with a more mobile-friendly slider bar. Added the new "How to" section. Removed the old obsolete tutorials. Increased the size of homescreen and lockscreen previews. Introduced the validation score for Custom Themes. Added a new sorting method based on the validation score. Added an award badge/sign to the 100% valid Custom Themes for every display mode. Now on the theme's details page will be shown the validation score with a preliminary summary of valids/warnings/errors. Changed the comments framework from Facebook plugin to Disqus. Now jQuery and jQuery Mobile JS/CSS files are loaded directly from their official website. Fixed a bug that did not allow to upload an image from mobile. Added into the theme page a link to the custom themes validator tool. Added into the submission form the ability to upload the custom theme's preview images directly on the repo server. To avoid SPAM now they are mandatory and you don't need anymore to upload them on an external website but just to attach them to the submission form! Fixed the images links that did not work anymore in the tutorials section. Added the possibility to report a change to home and lockscreen previews in the "new version" form. Added the new "mini grid" display mode. Updated the tutorials section with new tutorials about installation and uninstallation with the homebrew "Custom Themes Manager". Updated the rules of submission of custom themes in the repository. Added a censorship function for custom themes that contain explicit sexual images. Added four new rules for submitted custom themes. Now rejected custom themes will appear in a list inside the submitted custom themes page. Added reCAPTCHA to the "Contact us" form to avoid silly spam. Now the website title is a link, so that you can return to the plain index in a quicker way. Added the theme's title to the web browser tab's title. Fixed a typo in the submitted custom themes list. Now the download button will be disabled after the first click. This to avoid silly cheats with the downloads counter. Fixed a bug that did not show properly the download link for submitted custom themes.